We know corporate and business meetings are a part of every organization. At Brite Entertainments we provide corporate travel services. With our custom, travel experiences & support we’ll help you and your employees in travel schedule. We make sure our clients have a smooth travel experience so they can focus on their work properly. We also plan and manage corporate retreats, team outing or a mini vacation for our corporate clients. We plan the destination according to your specifications be it a luxurious trip or an adventure activities outing for your employees. Even if you are looking for some team building exercises we come up with fun innovative ideas which helps a lot in team bonding and hence enhancing the team performance. This activities really helps break ice between colleagues. We take care of every thing related to it, be it flight booking, train booking, hotel booking, cab booking for pickup & drop. We can also arrange for cars for rent. 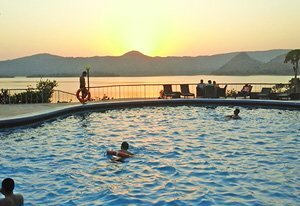 We have good tie-ups with good hotels & resorts so according to your requirement, budget and taste we can plan and design a very economical trip.